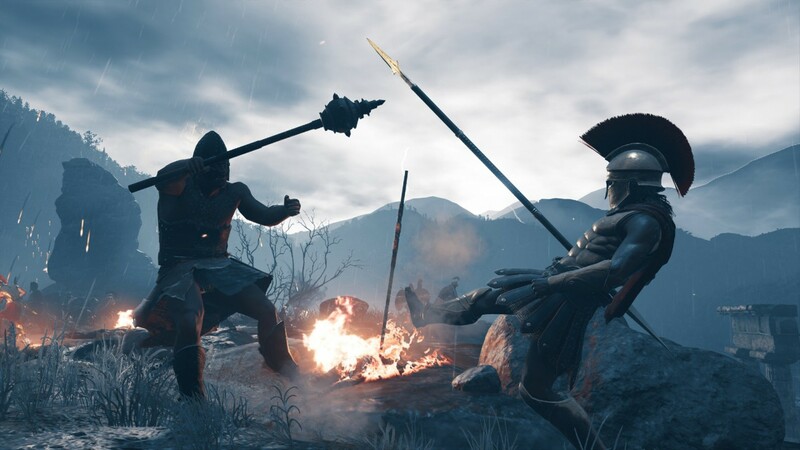 Assassin's Creed Odyssey offers no shortage of quests and things to do, and that expansive well of content is getting a little deeper. The free November update adds a bunch of interesting stuff mostly focusing on side content and gameplay tweaks. Along with a new Lost Tales of Greece questline, players can look forward to additional epic events, a battle against Steropes the Cyclops, new items, and several gameplay tweaks like a level cap increase. The Lost Tales of Greece story unfolds in multiple parts, and will be marked as yellow side quests on your map. They won't appear until you reach Episode 5. These missions produce unique rewards and factor in player choice. The map will also contain the location of new epic battles against a mercenary and ship. Victory against these challenging foes will reward you with either new equipment or a new ship design, respectively. These events are for players that have reached level 30 or higher. Some of the smaller touches in this update are the ability to auto-craft arrows, and the implementation of an extra visual layer for gear. As Ubisoft's official site says, "[the visual customization system] will allow you to combine the stats of one item and the appearance of another in the same slot." If you're worried that you hit the level 50 level cap early, and the experience you gained after that is lost, the game has been keeping track, and you'll receive ability points for your effort. You can learn more about the forthcoming update in the video below.